The Virginia General Assembly approved many new laws that will take effect on July 1, 2018, included four changes to criminal law. To gain a full appreciation of these new changes, the following sections will explore each new law in detail. Officially referred to as House Bill 1550 (HB 1550), this initiative will raise the threshold for grand larceny from $200 to $500. Before HB 1550, the theft of less than $200 in goods or other property was considered petit larceny in Virginia. Petit larceny is a Class 1 misdemeanor, punishable by 12 months in county jail and $2,500 in fines. If the value of goods or property stolen exceeded $200, then the offense became the felony known as grand larceny. The potential punishment escalated sharply, with the potential for a 20-year prison sentence and $2,500 in fines. After the passage of HB 1550, however, grand larceny will only apply to the theft of $500 or more in goods or other property. Moving forward, the theft of $500 or less will be the Class 1 misdemeanor of petit theft. Officially referred to as House Bill 481 (HB 481), this initiative will adjust the existing rules for jury service. If a potential juror is enrolled as a full-time student in an academic institute of higher learning, then the court may defer any jury service requirements. HB 481 applies to all public and private academic institutes of higher learning in Virginia. Officially referred to as House Bill 35 (HB 35), this initiative will amend several requirements for juvenile confinement in adult prisons. Specifically, there are existing rules that allow a Virginia court to place a juvenile delinquent in an adult penitentiary. If the juvenile demonstrates a legitimate threat to the safety or security of other detainees, then it was possible to detain a juvenile in an adult prison. Furthermore, Virginia law permitted the confinement of juveniles and adults together, without any separation. After the passage of HB 35, the Virginia Board of Corrections must approve any detention of a juvenile in an adult prison. Additionally, HB 35 removes the possibility of shared confinement between juveniles and adults. Moving forward, juveniles should be separated from adults when detailed in an adult prison. Trespass (Code of Virginia Section 18.2-119). If you have legal questions about criminal law in Virginia, it is tremendously helpful to speak with a talented criminal defense attorney. 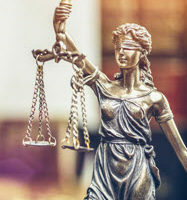 The attorneys at Simms Showers LLP, servicing Leesburg, Winchester, Fairfax, and Manassas, showcase diverse legal experience in the arena of criminal defense. If you need legal help with criminal defense, contact us today for a free initial consultation.